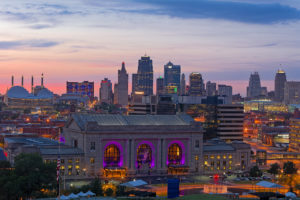 Kansas City is one of the cities in America’s Heartland where we invest — and is one of the top cities for economic growth. 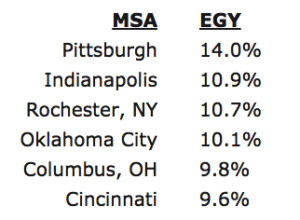 A recent article by HouseCanary reported on the top 50 metropolitan statistical areas (MSA) for price growth in Q1 of this year. 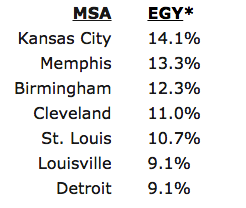 Seven cities where Guardian Fund purchases homes (in the Heartland of America) made the list. That is good news, but that’s not what we are really interested in since our properties don’t go up or down much in value. To see the full report, click here to download the PDF.